How can a cowpat calamity increase your pet’s risk of ticks? It’s spring and time to get out and about with your pet and have some wonderful adventures in the ‘great outdoors’. It’s a great time of the year, as the countryside seems to blossom into life, with cows and sheep out in the fields chowing down on some tasty spring grass. However, this can mean only one thing… fields loaded with sheep poo and cowpats galore! Now, anyone who has a dog can testify to their love of all things absolutely foul and disgusting. Favourites include rancid cowpats, rotting sheep poo, and of course the old favourite, fox poo! Our furry friends seem to have a real nose for them and will often be charging off towards them before you can even get one foot over the stile. Upon discovery of these ‘treats’, you may notice your dog has a special ritual that includes eating and then rolling around on them to ensure maximum coverage! To our dogs, rolling in a cowpat is both a proud moment and real delight, leaving them smelling absolutely fantastic in their minds - they will be baffled as to why you are giving them such a wide berth. 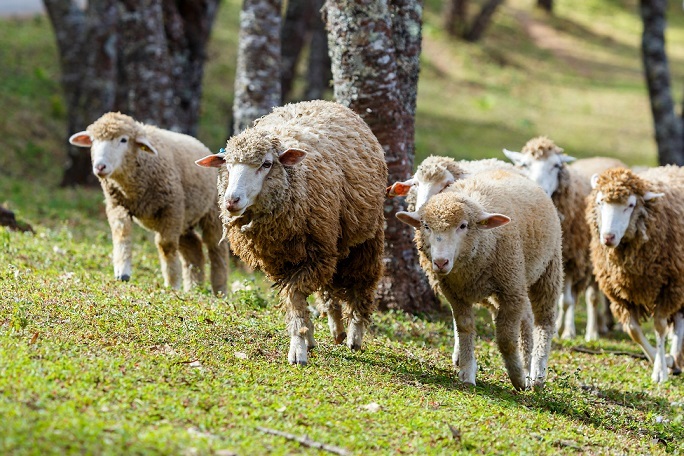 On a serious note, increased livestock outside also means that there is an increased risk of ticks, notably Ixodes ricinus (AKA the sheep tick), which can infect sheep and cattle as well as our pets. These ticks can latch onto your cat or dog as they amble through their habitat in the long grasses. So, make sure your pet is up to date with their FRONTLINE® Spot On or FRONTLINE® Plus treatment before you leave the house on your countryside adventure and don’t forget your cat too, as they may be going on countryside adventures of their own. After all this country fun, your pooch will be in desperate need of a thorough clean up before being allowed to set paw in your house or holiday cottage. So grab a peg for your nose and some thick gloves as a good shampooing will help them to smell as fresh as a daisy again in no time. Remember, try to avoid bathing them within 48 hours of applying a FRONTLINE® spot-on product, as this could prevent it from working properly - reducing the protection of your furry friend against ticks. So, get outside and enjoy your springtime adventures, but try to steer clear of those fields that are frequented by livestock, if you have recently applied your spot-on and have a cowpat magnet on the end of the lead. FRONTLINE® is a registered trademark of Merial. For further information refer to the datasheet or contact Merial Animal Health Ltd, CM19 5TG, UK. ©Merial Animal Health Ltd 2017. All rights reserved. Merial is now part of Boehringer Ingelheim.